The Events feature is a great way to let members know about upcoming conferences, concerts, or parties related to the theme of your Ning Network. You can even organize in-person meet ups using the Events feature on your Ning Network. You can invite anyone to join your Event, even people who haven’t yet joined the network! 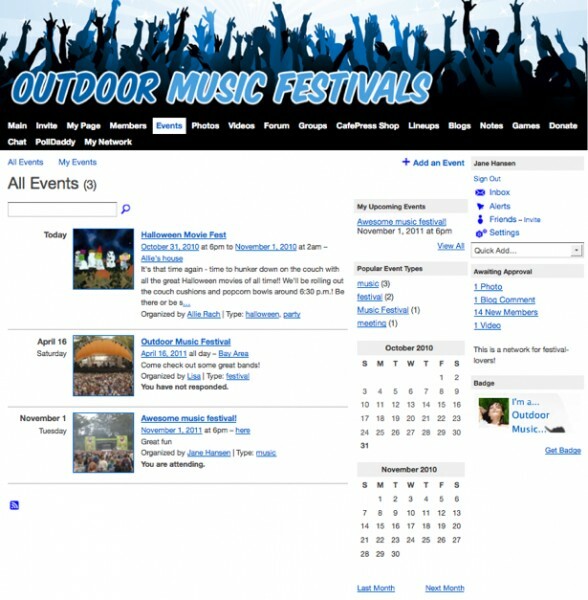 Each event can include the time, location, event type, organizer, a link to the event’s website,Â a description, comment wall and a list of RSVPs. 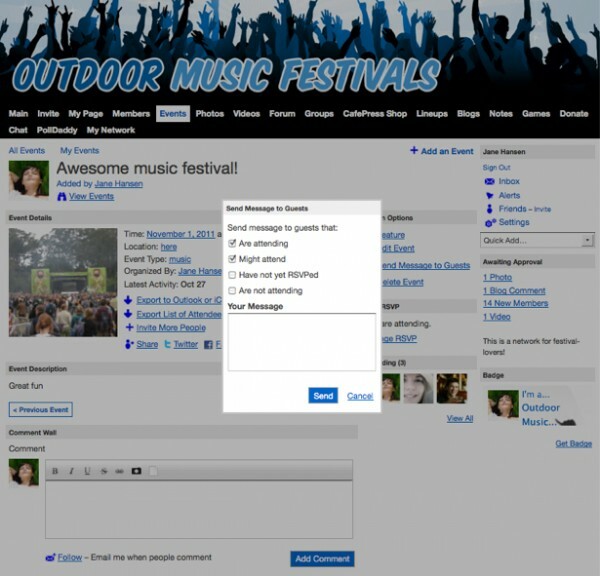 As an event creator, choose the event’s features and privacy settings. You can edit the privacy settings even after you have created the event. You can also send out a Broadcast Message to everyone who has been invited to the event. Please note that as the event creator, you will not receive a copy of the message you send out to all guests. 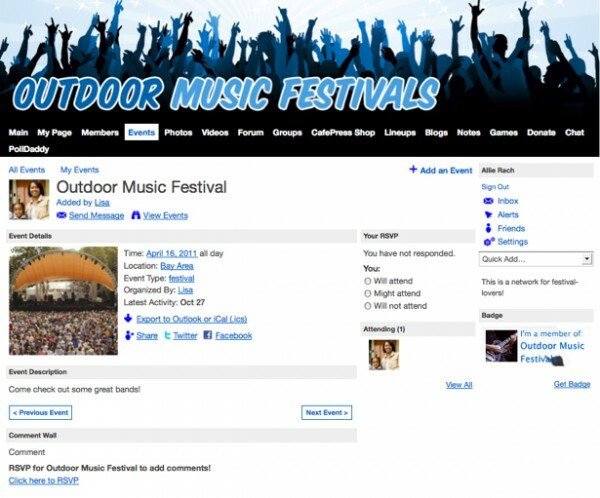 As the Network Creator, you canÂ determineÂ who can create events and chooseÂ how toÂ display events on the main page. Check out the related articles for more information on attending, using, creating, and managing events on your Ning Network.